"Organic Parasite Conrol for Poultry and Rabbits in British Columbia, Canada." J Ethnobiol Ethnomed. 2011 Jul 14;7:21. Lans, C., el al. University of Victoria, School of Environmental Studies, British Columbia, Canada. Consumers are increasingly demanding that their meats come from animals raised in environmentally sensitive ways which give attention to animal welfare. Such methods improve meat quality. Poultry and rabbits require less land use than beef and pork, and were emphasized in this review. More natural parasite control is desired without antibiotics. Plant extracts and essential oils can be used for parasites and include the following: rosemary (Rosmarinus officinalis), lemon balm (Melissa officinalis), peppermint (Mentha piperita), spearmint (M. virdis), wormwood (Artemisia absinthium), epazote (Chenopodium ambrosioides), thyme (Thymus vulgaris) and oregano (Origanum vulgare). CONCLUSION: More natural forms of internal and external pest control are available for farmers raising animals for consumption. 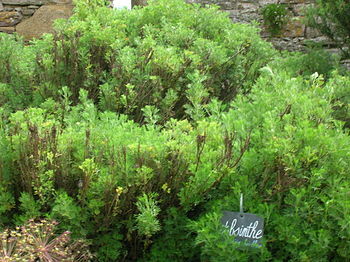 As well, many plants and essential oils are now being used for pest control in British Columbia. These products are more environmentally friendly, and provide less pesticide residue from in meat consumed.